A property manager in Lynn, Massachusetts recently was plagued by two violent crimes. In a news report, the manager details how his company has been proactively working with the local police department to evict the bad tenants and make the property safer for all tenants. “With the cooperation of the Lynn Police Department, we’re evicting the bad people in the building and the building is turning the corner,” the manager tells reporters. Crime at a rental property — it could happen anywhere. When it does, it is important for landlords to react immediately. When the crime was committed by a tenant, then eviction is a logical step. This is especially true if the crime was violent. There should be no second chances when it comes to violent crime. But if the crime was not committed by the tenant, but rather by a stranger entering the property, the landlord should take a series of steps to minimize the likelihood of repeat occurrences. Even if your property has never experienced a crime, it is in your best interest to proactively keep it that way. 1. Reach out to local police, proactively seeking their assistance in implementing crime-prevention measures. The Crime Free Multi-Housing Program can be a positive way to connect with your local police department. 2. Become involved with local crime-prevention neighborhood groups. If one does not exist in your neighborhood, contact other property owners and be proactive about starting one. 3. Be sure every door and window in your rental property has locks in good operating condition. Be sure to re-key the locks when a tenant vacates. 4. Install motion sensitive outdoor lighting to help tenants make their way safely, and deter intruders. 5. Remove brush and trim shrubs so lurking criminals find no cover. 6. Common areas like lobbies should be well-lit, while lobby doors should be locked, at least at night. 7. Install peep-holes, door chain guards, elevator mirrors, self-closing doors, self-locking doors, intercoms, and any other crime-prevention measures that can help keep your tenants safe. 8. 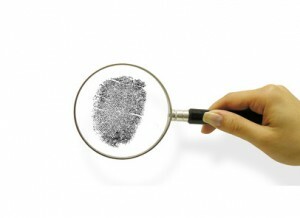 In your tenant screening process, be sure to run a criminal background check, with a zero tolerance policy toward any previous criminal history that could put you, your other tenants or your property at risk. 9. In your lease agreement, have a clause that makes it clear that you have a zero-tolerance policy when it comes to criminal activities. Any crime prevention measures you can integrate will be in your best interest, because not only will you attract more desirable tenants, but you also will significantly reduce your legal exposure in the event a crime does occur.